Musk says the Tesla pickup truck will be some sort of Blade Runner contraption that will blow your mind. It's been a long year full of great missteps and, finally, great success for Elon Musk and his automaking company Tesla. As 2018 enters into its final chapters, the entrepreneur sits down with long-time tech reporter and New York Times opinionist Kara Swisher for a lengthy conversation. 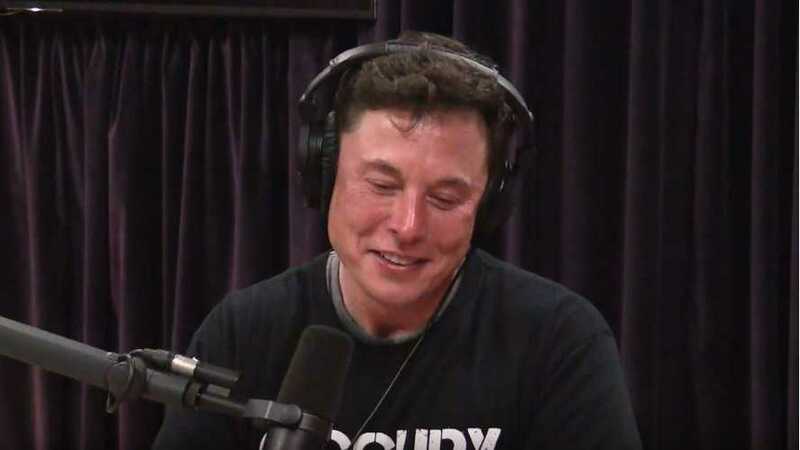 The resulting Recode Decode podcast (embedded below) gives us a window into Musk's current state of mind as well as insight into what's happening at his various efforts: Tesla, SpaceX, and The Boring Company, including some product hints. The conversation starts with talk of Twitter, the platform the billionaire prefers to use for many interactions. If you were thinking his statements there would now be more measured, more filtered, you may be surprised. While part of his settlement agreement with the SEC over the "Fund secured" debacle included a clause that called for a committee to "...pre-approve Mr. Musk’s Tesla-related written communications...," in practice it seems he will just refrain from tweeting "...something that might cause a substantial movement in the stock during trading hours." Discussing Tesla's self-driving effort and the complexity involved with integrating the car's neural nets into one cohesive system, Musk predicts, "I think we’ll get to full self-driving next year," but doesn't say whether it will actually be rolled out to customers then. "We’ve got the next-generation Roadster. Which will be the fastest sports car on every dimension. Fastest acceleration, fastest top speed, best handling. The goal with the Tesla Roadster is to show that an electric car can be the best sports car on every dimension. I think that’s very important to kind of get rid of this, like, halo effect that gasoline cars, sports cars, have." The conversation moves on to the Tesla pickup, which Musk says, as he has before, that it's the product he is most excited about. While he doesn't go into detail, it seems it won't look especially conventional. Says Musk, "I really wanted something that’s like super-futuristic cyberpunk." While that might sound alarming to some who think they should focus on more conventional designs, he does say, "I think this is the kinda thing the consumer would want to buy, even if they don’t normally buy a pickup truck." If it ends up being too niche, he says they will make a more conventional pickup. Moving over to the solar and energy side of things, Musk says the Solar Roof should finish development very soon. Already installed on hundreds of roofs, he reiterates that they've been testing to ensure long-term durability. Energy storage-wise, he teases that they have some exciting announcements coming and include, "... a large product on the stationary storage side that I think will be very compelling for utility customers." They also have a pretty interesting segment about the Boring Company that gets into the design of the tunnel digging equipment. Right now, they are electrically powered using a cable that carries 11,000 volts and requires step-down transformers on the digger. Musk wants to, instead, cut the cord and use batteries to supply the necessary energy. Interestingly, regarding moving the dirt the drill excavates, Musk says they use a modified Model 3 chassis to create a train for this. He also allows that they've got the digging cost, aside from equipment, down to around $10 million per mile. All in all, it's a great conversation and you can listen to it by clicking on the play button below. Enjoy!